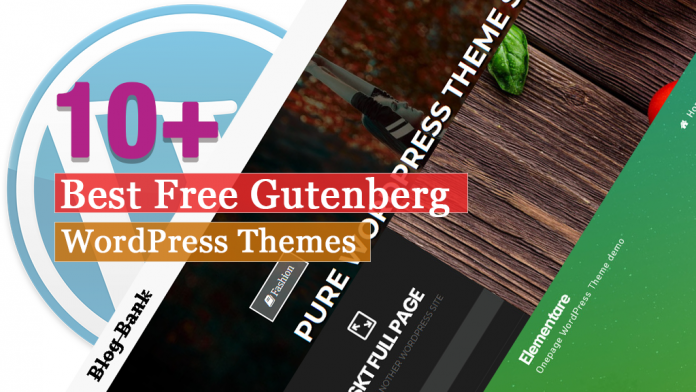 Are you looking for awesome free Gutenberg-Ready WordPress themes for your new venture? Then, this is the place where you can get awesome free Gutenberg compatible themes for building a beautiful website. Gutenberg is a new type of WordPress content editor and most of the themes work with Gutenberg by default, but not all themes do it well. Nowadays, Gutenberg is becoming standard while fulfilling basic requirements such as search engine optimization (SEO), lightweight code, great design, feature-rich and fast load time. Like other visual content editors, Gutenberg was made to provide people with different web design skill levels, with an opportunity to experience simple and enjoyable web design creation. And, it contains a number of blocks where you can use it for the customization of your website by simply dragging elements around the page. Gutenberg themes are the best choice for content creation, as it has a very intuitive drag-and-drop interface for all users. So, if you have any plans on building a new website, then I recommend you to choose a WordPress theme that is compatible with Gutenberg. Here, I have made the collection of some of the best free Gutenberg-Ready WordPress themes that come with amazing customer reviews and are completely responsive. Also, these themes have been updated recently so they’re working great with the newest version of WordPress. Creativ Blog is a modern free WordPress theme that comes with high-quality features and minimal design. This theme is designed to work for all kinds of blogs: personal blog, business blog, fashion blog, lifestyle blog, travel blog, and so on. It is full Gutenberg compatibility theme where you can now embrace the future of WordPress with this Creativ Blog. 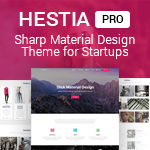 Roseta is a clean and highly customizable WordPress theme that comes with an awesome layout. This theme is beautiful and multi-purpose that can be used for your blog, online portfolio, business website or WooCommerce store. It is a lightweight, mobile-friendly and responsive theme that is created with SEO in mind. The theme is fully responsive that looks amazing on all the screen sizes. The Score is fast and SEO friendly free WordPress theme that is compatible with Gutenberg and WooCommerce plugin. This theme is fully responsive that is equally adaptable with all the screen sizes. It is a well-optimized theme that helps you to rank your site on the top of the Google. The social media icons will help you to connect with your visitors and convert them into your customers. 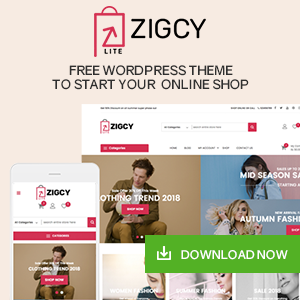 Mirza Blog is a fully responsive WordPress theme with clean, elegant, unique and modern design. This theme is perfectly designed to work for all kinds of blogs like personal blog, business blog, fashion blog, lifestyle blog, travel blog, and so on. With the help of social icons, you can easily connect with your visitors. And, the theme is well-optimized that helps in the ranking of your site. Proficia is a perfect Finance, Consulting and Business WordPress theme that is best suited for a corporate website like Accountant, Consulting Firms, Financial Advisor, apartment, room reservation, health trainers, lifestyle coach, fitness trainers, physiotherapists, travel magazines, tourist destination, tourist hotels, airline agencies, etc. Minimal Grid is clean, simple, modern, elegant, and responsive free Gutenberg WordPress theme suitable for any type of news, magazine, entertainment or blog websites. This theme comes with a clean masonry-layout post listing options and support for various post formats where you can now experience freedom on the content you can use on your site to enrich the user experience. Elementare is a beautiful and easy to use free multipurpose WordPress Theme with all the feature that you need to make a complete website on one page. You can use many sections including Slider, About Us, Team Section, Skills, Contact section and much more in the home page section of this theme. 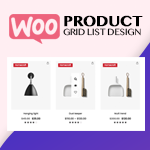 It is fully compatible with WooCommerce that allows you to create your personal E-Commerce, with WPML, Gutenberg and page builders (Elementor, SiteOrigin, Beaver Builder). Full Page is simple, flexible, and easy to use free WooCommerce friendly WordPress theme. This theme comes with an AMP Plugin that can be set up and can be used for having faster mobile experience and for people who just want to read the content. It is sidebar widget friendly theme where one can have as many widgets as one wants to add on the sidebar for a call to actions. 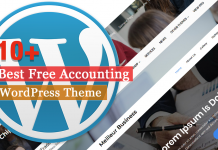 Munix is a free finance, corporate, business WordPress theme that is compatible with Gutenberg. This theme is a clean, modern and professional corporate theme that is fully responsive. It is SEO friendly and easy to create your website within a few minutes and is based on HTML5 and bootstrap which is fast loading WordPress theme. 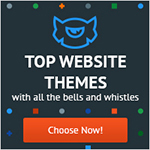 The theme is tested with major wordpress plugins Elementor, visual composer, jetpack etc. Vegnaos is a clean and responsive beautifully designed free WordPress theme built using the new Gutenberg editor. This theme is perfect for creating food-related websites like recipe websites, blogs, magazines and more. It features modern, easy-to-read typography and minimalistic design. The theme is compatible with cross browsers that are well tested on all the browsers and works perfectly. Blog Bank is a smart and animated free blog and magazine WordPress theme. 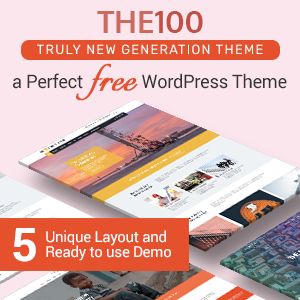 This theme is a Gutenberg supported WordPress theme that comes with many options and features that can be added and customized easily. It is a perfect match for beautiful and professional layouts and creates with Bootstrap Framework based so it’s totally responsive. Here, I’ve made the list of some of the best free Gutenberg-Ready WordPress themes that come with amazing features and functions. This will help you to build an awesome looking website easily. If you have already used these themes then feel free share us your experience. Or have any difficulties with the theme then comment us below. Previous articleHow to Disable the Screen Options Button in WordPress?